Founded in 1899, Fiat are now the largest auto mobile manufacturer in Italy and currently have their headquarters in Turin. A fact that may surprise you is that Fiat also has successful manufacturing history in carriages, railway engines, tractors, military vehicles and air craft. The G.55 fighter is widely regarded as the best aircraft Fiat ever produced. In terms of car production, Fiat are certainly a mass producer who’s standard of vehicle is constantly improving. The Fiat 500 for example was awarded European Car of the Year award in 2008 which is the first win for the company since 1967 with the Fiat 124. In the past, the Italian based company has had a hand in many of the big names that we know today and they have used this experience to further advance their own productions. Currently, Fiat are owned by FCA (Fiat Chrysler Automobiles) which is an umbrella company to a collective of well known brands including Ferrari and Maserati. Fiat have been a popular brand for quite some time and under FCA they may be set to get bigger and better than ever. As a Fiat owner, make sure you protect yourself with a Fiat car warranty from Warrantywise. 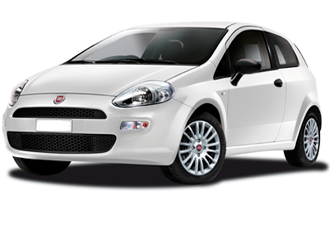 We guarantee not to be beaten on price and cover for any Fiat car warranty. The Fiat 500 is a tiny little city car with huge personality. Very attractive to first time drivers or anyone that needs to park in small gaps regularly. Insurance prices are as cheap as they come and just the sight of this cute little car is enough to make you smile. The Fiat 500 Abarth is the performance focused Fiat 500. Yep, that’s right its a performance 500. Enhanced body styling gives the Abarth a much sportier look and the interior is sleek and tidy too. Performance is actually very good and due to the size of the car, cornering is fun and exciting. The Fiat Bravo is a smart looking super mini that features notably Italian styling in the bodywork and interior. Interior space for passengers and baggage is generous for a small car and performance is more than ample enough to get the whole family from A to B. This car earned the full five stars in the Euro NCAP Crash Test. The Fiat Doblo is good value for money and strives to deliver affordable yet practical family transport. As you might expect, room inside for both passengers and luggage is more than generous and with a relatively high stance on the road, driver visibility is very good too. The Fiat Doblo Van comes in both short and long wheelbase and a wide range of engines. Gross payloads of up to 1000kg combined with rear doors that open to 90 degrees make the Doblo a handy little workhorse. Fuel economy is decent and the van drives more like a car. The Fiat Ducato Van is a a front wheel drive workhorse with fantastic payload capacity. A range of models means you can have a high roof version or a low roof if you choose, not to mention short and long wheel base and many other options. The Fiat Grande Punto is the full bodied, spacious version of the classic Punto. Refinement is of a high level in the Grande however, it just feels classier on the inside and looks nicer on the outside than a standard Punto. Standard equipment is also very generous as is boot space for this class of vehicle. The Fiat Multipla certainly looks interesting. The unique body shape hints at the other surprised the Multipla has up its sleeve, such as the driver/passenger area being three seats wide. The Multipla is a very sensible, practical Italian motor. The Fiat Panda is a fairly large hatchback that offers a comfortable and roomy journey in a tall, sturdy frame. Regardless of its name, the Panda is most at home in town and urban areas but it can still accelerate and corner like a smaller vehicle. The Fiat Punto has been around for quite some time and it remains a common sight in the UK. Very good value for money, practical, small and nippy, the Punto is a first time drivers dream and is the perfect downsizing choice for those on a budget. Fuel economy is also very efficient. The Fiat Stilo is a trendy little family hatch back that was well ahead of its time. Stylish and fashionable, the Stilo provides a plucky alternative to the reserved family car. Fuel economy is also good so you wont be breaking the bank to keep her going.